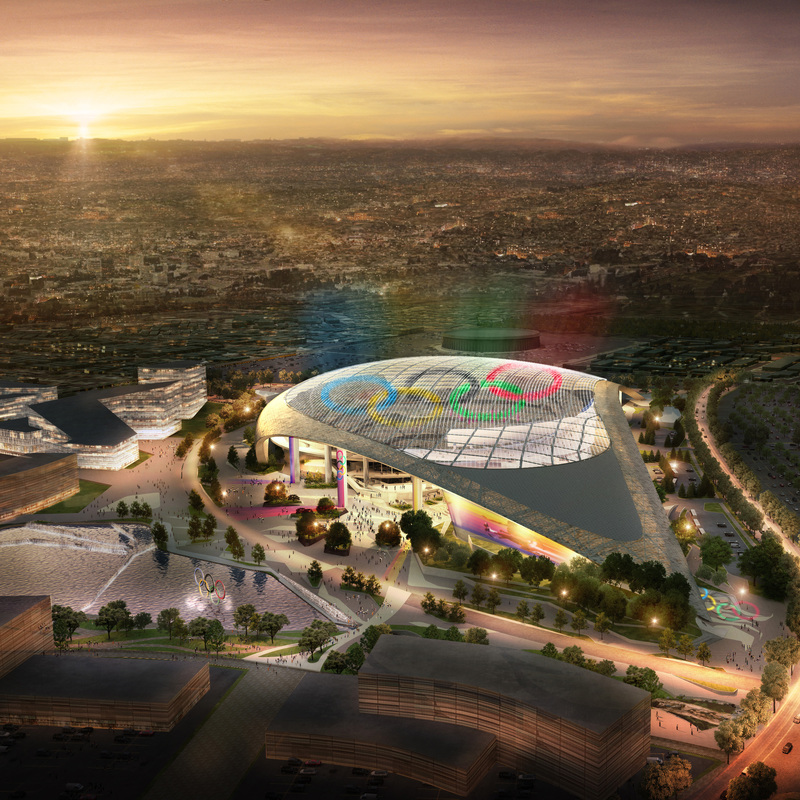 Why are Los Angeles and Paris the last two cities standing in an Olympic bid process that can be fraught with risk? Look no further than their respective mayors, Eric Garcetti and Anne Hidalgo, who have changed the game along the way. As he took a seat in the wood-paneled press room off his City Hall office, flanked by the flags of Los Angeles and the United States, L.A. mayor Eric Garcetti tried to articulate his somewhat unusual frame of mind. His boyhood dream of bringing the Olympics back to Los Angeles appears to be on the verge of becoming reality. But there will be no singular moment of celebration, no anxious wait for International Olympic Committee president Thomas Bach to open an envelope and cue a fireworks show in the Southern California sky. "Usually you have five plazas around the world, four crying and one celebrating," Garcetti told ESPN.com in late June. "This is going to be a slow dual win. The IOC will make an announcement that they are going to move forward with dual bids and then we will know we've won. Both of us." Garcetti was referring to two cities and their chief executives. He and Paris mayor Anne Hidalgo have put themselves on the line for their cities' respective Olympic bids, and Paris and Los Angeles are the last two players standing in a battle of attrition. It has been a bid campaign like no other, featuring two forceful, dynamic personalities 5,642 miles apart: Garcetti, fueled by a lifelong desire to bring the Games back to his hometown, and Hidalgo, a late convert who now sees the event as a way to throttle up positive change. Both have made themselves indispensable in lobbying other politicians, the public and Olympic sports officials. The two mayors, who are friends, have gone to great lengths to point out what distinguishes the bids. But the truth is that the blueprints have a lot in common. Both rely on existing facilities, emphasize what will be left behind and focus on environmental and social issues. The mayors are also similar: politically left of center, with multicultural backgrounds, leadership roles in climate change activism, and tricky relationships with their countries' presidents. While voters and politicians in other cities fled the Olympic sweepstakes, fearful of runaway costs for a 2 ½-week party, Paris and Los Angeles are offering the International Olympic Committee more than a decade of stability for its flagship event. Everything has shifted since the free-for-all global auctions of recent years, when host city candidates fluttered their hands in the air and elbowed each other out of the way in their eagerness to be chosen. In the current Summer Games bid cycle, Boston, Budapest, Hamburg and Rome all bowed to public pressure and bagged their bids for 2024. Two years ago, six European and Asian countries backed out of the 2022 Winter Games, leaving two cities under authoritarian rule: Almaty, Kazakhstan, and snowless Beijing, which prevailed. The past two Olympics have had corrosive effects on the event's image: Sochi 2014 with its obscene $51 billion price tag and sabotaged anti-doping operation, and Rio 2016, whose vacant, deteriorating venues are a metaphor for its empty promise of a legacy for its citizens. Just last month, Tokyo 2020 organizers said costs for those Summer Games have doubled from what was initially estimated. Bach proposed Agenda 2020, a series of reforms that included measures designed to make the bidding process for the Olympic and Paralympic Games less complicated and expensive. The new framework emphasized financial and structural sustainability, responsibility and transparency in choosing a host city. 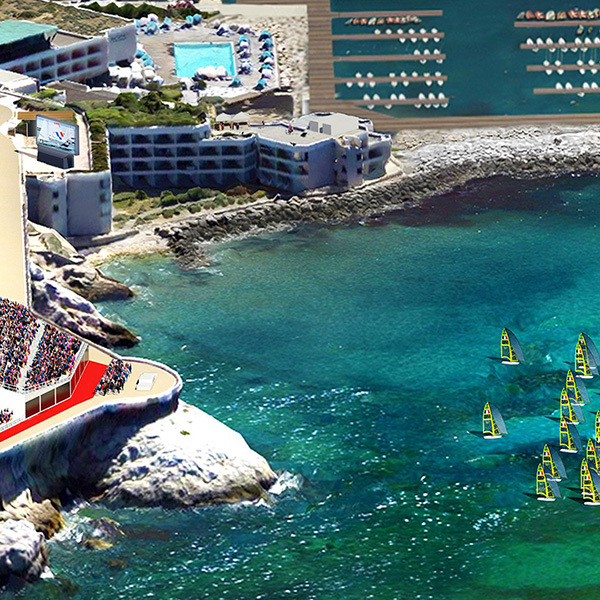 The 2024 Summer Games are the first to go through an entire bid cycle under Agenda 2020. Paris and L.A. tailored their pitches accordingly. But some habits die hard, and privilege is one of them. Despite the potential impact on millions of citizens of both cities, the full IOC membership has insisted on hearing the two bid presentations behind closed doors in Lausanne, Switzerland, on July 11. In a formal session later that day, those same IOC members are expected to vote on a process that would allow them to break decades of precedent and select the next two Summer Games hosts simultaneously. Most predict it will be Paris in 2024, L.A. in 2028. The official announcement is scheduled for Sept. 13 at the 131st IOC Session in Lima, Peru. Garcetti and Hidalgo -- who as mayors would be the official signatories of contracts with the IOC -- are spearheading delegations in Lausanne this week having taken different paths to the same conclusion. An interesting thing happened along the way: the old equation was reversed. They chose the Olympics rather than the other way around. One week in early June reflected the full spectrum of Hidalgo's duties. Amid the usual menu of meetings, receptions and paperwork, she had rushed to Notre Dame Cathedral after a deranged man attacked a police officer near the entrance. Hidalgo spoke to some of the 900 people locked down inside, marveling at their calm. The next day, she smiled and mingled on the grounds of Roland Garros -- site of the French Open and a potential 2024 Olympic venue -- after presiding at a ceremonial draw for the wheelchair tennis event. Relaxed at the end of another long workday, Hidalgo lingered after wrapping up a formal interview at the Hotel de Ville (City Hall). Her bright coral dress stood out amid stately gold and blue décor in a high-ceilinged room with a massive chandelier looming from above. 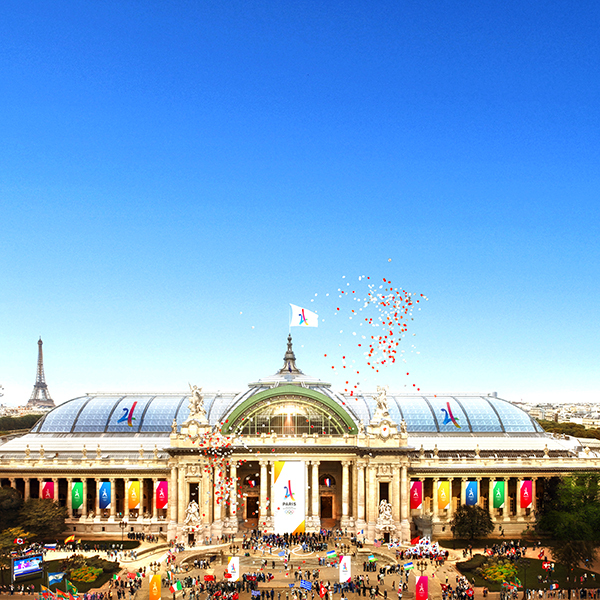 Reminders of the ongoing Olympic campaign are everywhere in the Hotel de Ville, from the pin Hidalgo wears to strategically placed coffee table books to a giant fiberglass sign with the stylized Paris 2024 logo placed next to a classical statue of a woman and child with "Security" engraved at its base. Last December, the mayor of Mexico City offered her a helicopter tour and asked what she most wanted to see. "The Olympic Stadium," Hidalgo said months later, still sounding a little smitten. She laughed as she recalled giddily snapping pictures of the low-slung oval structure with the cauldron perched on one side. She had first glimpsed it on a black-and-white television in 1968, when she was awestruck by Colette Besson, the winsome, pony-tailed gym teacher who sprinted past the favorite down the stretch to win the 400-meter track gold for France. "She was superb, and for me, she was a role model, a young, athletic woman who inspired me a lot," Hidalgo said. Now 58, the future mayor was 9 at the time, transplanted from her native Cadiz, Spain, as a toddler when her family fled the oppressive regime of Francisco Franco that once imprisoned her paternal grandfather. Her parents, an electrician and a seamstress, settled in Lyon, France with their two daughters, living among other immigrants in a gritty housing complex. Education was Hidalgo's ticket out, and she was an avid student, but she and her sister loved sport as well and helped start a girls' volleyball team from scratch. She was an outsider who became the first woman to be elected mayor of Paris. That journey gave her an ingrained empathy for people who cross borders carrying little aside from hope, and a passion for themes and events she thinks will break down those borders. 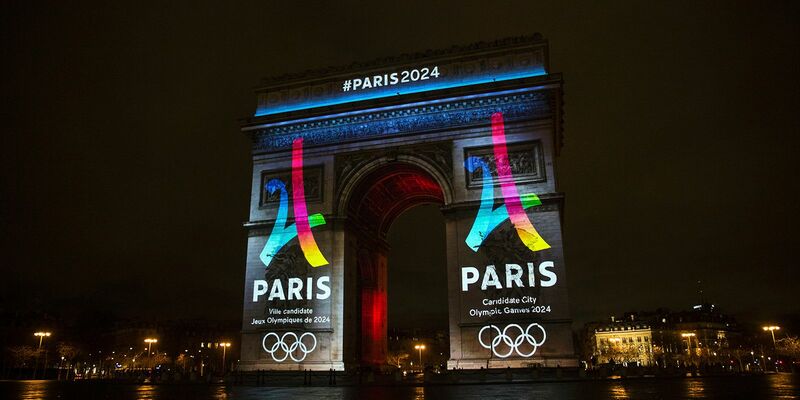 The Paris 2024 bid is one of them. But Hidalgo had to be convinced. She had watched the unsuccessful Paris 2012 campaign unfold from her post as deputy mayor. She saw how much the failure took out of Bertrand Delanoe, her predecessor and mentor. She had other priorities when she took office in April 2014, and many reasons to be wary. Tony Estanguet, the three-time Olympic canoe champion and co-chair of Paris 2024, recalled the grilling he and other members underwent when they first made their pitch to Hidalgo. "We sensed there wasn't a big margin for error," Estanguet said. "We were careful about what we said. Every word was studied. She was afraid that we would make promises we weren't capable of keeping. 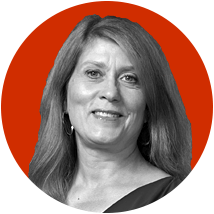 So, she challenged us, she really challenged us, on what was feasible and credible." Then-President Francois Hollande, the leader of Hidalgo's own Socialist Party, leaned on her to support the bid and spoke vehemently in defense of an Olympic bid on national television in November 2014. The next day, Hidalgo told reporters she would reach a decision after the New Year -- a practical decision, she emphasized, not an emotional one. "Nothing and no one will make me change the timetable,'' she said then. Yet events, and emotion, did intervene. In January 2015, terrorists killed 12 staff members and injured 11 others in the offices of the satirical Charlie Hebdo newspaper near the Place de la Bastille. Parisians thronged the streets in defiance. World leaders flew to Paris to link arms and walk in solidarity. Hidalgo, who had known one of the slain journalists, marched with her face set in lines of somber determination. She announced her support for the 2024 bid a month later, and won backing from the City Council later that spring. Since then, Hidalgo has been all in. In the service of lobbying for the bid, she has danced the tango in Argentina and allowed a black bear mascot named Kumamon to twirl her around in Tokyo. During Paris' "Olympic Days" in June, she wore a casual T-shirt and waved from the bow of a kayak piloted from Saint-Denis to central Paris by Estanguet. Charlie Hebdo was only one of several shock waves that have made the past two-plus years turbulent for France and its capital, which remain in an official state of emergency. Coordinated terrorist attacks in Paris on Nov. 13, 2015 targeted outdoor cafés and restaurants and a soccer match at the Stade de France, a prime 2024 Games venue. The Bataclan nightclub was the scene of the worst slaughter. Like many Parisians, Hidalgo had a soft spot for the famous concert hall with its campy pagoda-style façade. She held a campaign rally there in May 2013, squeezing through an adoring crowd that swayed and clapped to the Rolling Stones' "Harlem Shuffle." When she arrived at the scene 18 months later, bloodied corpses covered the same floor. Five nights later, three suspected extremists were killed and others arrested after a massive police raid and firefight at an apartment building in the center of Saint-Denis -- the same struggling northern suburb where new Olympic construction would have the most impact in the form of housing and recreational facilities. 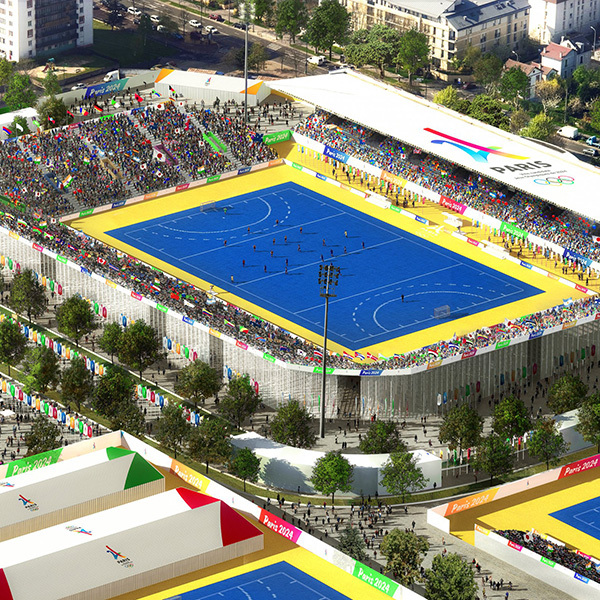 It would be overly simplistic to say that Charlie Hebdo transformed Hidalgo into a Paris 2024 advocate. But it played a part. She came to view the Olympics as a positive, unifying project and a way for her to advance her agendas on environmental and refugee issues. "I saw my city scarred after the attacks of January 2015, and I told myself, we have to give hope to young people, we have to give them the possibility to think about the world with optimism, to be able to imagine themselves in a world that is going to be theirs," Hidalgo said. "All the conditions came together for me to totally commit. "When the athletes came to see me and said, 'We have to launch another bid,' I said, 'Tell me why. What are the arguments? What do we need to do to win this time? If we go for it, we're in it to win, not to take another trip around the track and leave again disappointed.'" The public needed to be convinced just as she was, Hidalgo said: "This path I took, I wanted Parisians to take it too." From his very first day in office in 2013, Eric Garcetti set out to win another Olympics for Los Angeles. Two years later, when he stood on Santa Monica Beach and announced that his city had replaced Boston as the 2024 U.S. candidate city, his moment had arrived. Garcetti spoke in English, Spanish and French in a 12-minute speech. He raved about the unique face of his hometown, called L.A. the greatest sports city in the world and promised an Olympic Games unlike any other. Unspoken, but plainly obvious, was a simple underlying message: Boston's trash was Los Angeles' treasure. "This is a great day for Los Angeles," said Garcetti, 46. "And a great day for the Olympic movement." Garcetti had been pointing toward that day his whole life, but he had no idea where his inner compass was about to take him. He was 13 in the summer of 1984 when he returned home early from summer camp to watch Carl Lewis blow the field away on the Americans' anchor leg of the 4x100-meter relay final to clinch a world-record time and his fourth gold medal. The next night, Garcetti took in the closing ceremonies, where a bespangled Lionel Ritchie capered through a 9-minute version of "All Night Long" and a two-ton model of a UFO hovered over the stadium and "communicated" with a flashlight-wielding crowd under a full moon. Garcetti's hometown was the center of the world. "It was the defining experience of my childhood and of my city," Garcetti said. "It's as simple as that." That experience was one of many that prompted Garcetti to think globally. The son of former L.A. District Attorney Gil Garcetti, who oversaw the prosecution of O.J. Simpson in the 1994 double slaying of Nicole Brown Simpson and Ron Goldman, Garcetti was educated at Columbia and won a prestigious Rhodes Scholarship to study abroad. He taught and served humanitarian causes in Eritrea, Ethiopia and Burma, worked for Amnesty International and has been honored by Human Rights Watch and the Rockefeller Foundation. Steve Lopez of the LA Times once wrote "He's George Plimpton, Bono and 'Seinfeld's' Mr. Peterman all rolled into one." Age and perspective deepened Garcetti's conviction about the importance of the 1984 Games. His first official act in office was to draft a letter to the United States Olympic Committee asking to bring the Olympics back to Los Angeles. On the cusp of that vision becoming reality, Garcetti sat in the library at Getty House, the mayor's official residence, last April and pulled out a biography of former mayor Tom Bradley. He wanted to tell the story of the October night in 1978 when Bradley gave up his World Series tickets to invite city councilman Marvin Braude to Getty House, hoping to convince Braude to vote in favor of the '84 Los Angeles Olympic bid? "That happened right here in this room," Garcetti said, before reading an excerpt that quoted Braude: "'[Bradley] never lobbied me before as he did that day, but I was leaning that way. I felt in a civilized society if you can't have the Olympics in Los Angeles, you can't have them anywhere in the world. I couldn't vote against it out of fear.'" Garcetti feels the same way today. If L.A. can't solve the Olympic riddle, who can? "We are one of the last American cities left that can pull this off," he said. "Most cities, unless you have a government that's willing to go into debt or pay the subsidy of what this costs, most cities will never say yes to the Olympics again unless they find the right model." 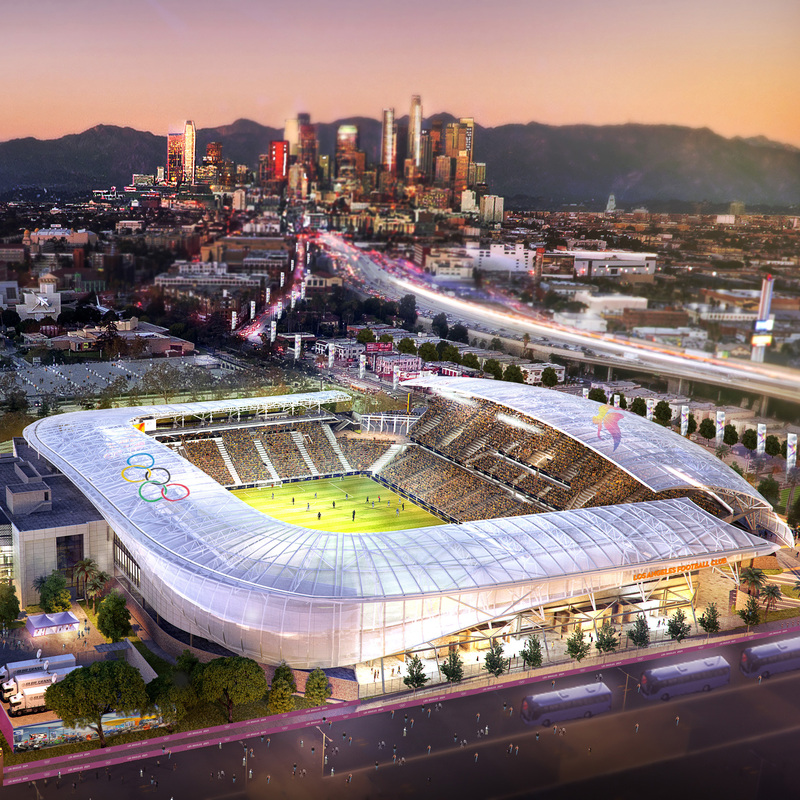 Boston bid leaders believed they had the right model - a compact games in historic New England -- and the USOC initially agreed, choosing Boston over Los Angeles by one-half vote to be the U.S. candidate city for 2024. But then the grassroots "No Boston Olympics" campaign galvanized thousands through social media and buried public support for the Boston Games, raising questions about an Olympic plan that included the need to build an athlete's village and Olympic Stadium. 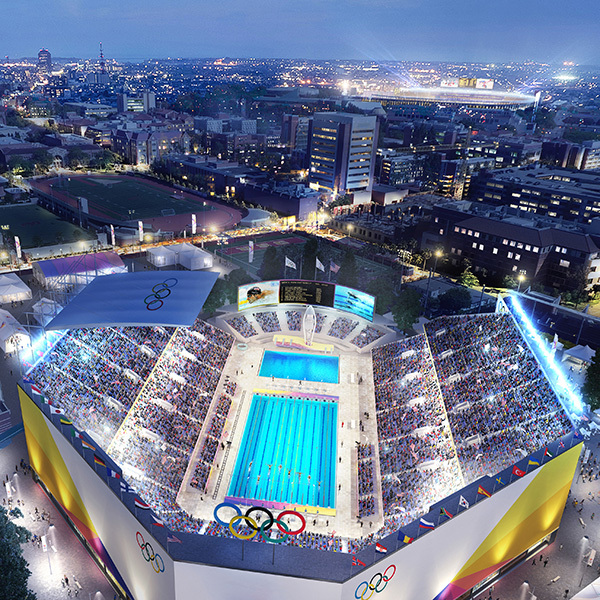 Under mounting public pressure, Boston mayor Martin Walsh and the USOC pulled the plug on Boston's bid in June 2015, a decision Garcetti -- albeit through the lens of vested interest -- considered wise. "If I were in his shoes, I would have made the exact same decision," he said. "The whole model of 'Build things for the Olympics and hope the city will benefit after' is backwards. It should be, 'Build things for the city and make sure the Olympics model benefits from it too.'" Once L.A. was the confirmed candidate, Garcetti threw himself into the chase with as much ardor as he'd brought to any political campaign. He has spent the past two years schmoozing the enigmatic group of royalty, former athletes and assorted wealthy professionals who make up the full IOC membership, often mustering a sentence or two from his repertoire of nine different languages in an effort to build trust. "It's politics, right?" says LA2024 bid chief Casey Wasserman. "And the mayor is unbelievably talented at it." Delivering the Games in a fiscally responsible way could boost Garcetti's already promising political career. After winning re-election in March with a city-record 81 percent of the vote, Garcetti refused to say whether he intends to serve the full term, which ends in 2022. There is speculation the Democrat might consider an eventual run for the White House, especially considering how much he has battled Republican President Donald Trump over his immigration and travel policies and crackdown on sanctuary cities. When Trump announced in June he was pulling out of the Paris Climate Accord, Garcetti co-founded what has grown into a group of 338 U.S. mayors who have vowed to hold its cities to the standards set forth in the agreement. Trump's election was an unexpected curveball for the L.A. bid, and some IOC members have expressed concern to Garcetti about Trump's policies. But Garcetti insists that despite their political differences, Trump has been supportive of the bid privately and publicly. L.A. is expecting the Olympics to be classified a "National Special Security Event," allowing the Secret Service to take the lead role in security at an estimated cost of some $2 billion to the federal government. This Olympic match race has another unique distinction - the friendship between Garcetti and Hidalgo, which has flourished as they've led the C-40, a global association of mayors committed to the Paris Accords. Garcetti said they are "kindred spirits." "I've had some private meetings with her, even in the midst of all this when we are supposed to be enemies and we keep coming back to the fact that we like each other," he said. "If we are both able to win, I relish the opportunity to have two mayors who are like-minded sharing how you do the Olympics. Anne and I have the possibility of being part of this new chapter together." It hasn't always been that genteel. The rules of conduct for bid cities bar direct comparisons and disparaging comments. Opponents are supposed to fight wearing velvet gloves, but the race wasn't without sniping and rhetoric in recent months. Paris leaders were agitated that L.A. went five minutes past its 10-minute allotment for a presentation in Denmark in April. And L.A. wasn't thrilled that Paris had purchased a wrap-around advertisement in the international edition of the New York Times that was handed out at the conference. At the same event, Hidalgo suggested that the Olympics are "so much more than entertainment - more than a branch of show business." French media reports led to questions about LA2024's claim that it was the first bid to ever gain more than a million Facebook likes, noting that the numbers had risen dramatically in countries such as Bangladesh, Pakistan, India and Indonesia. (LA2024 denied any chicanery.) 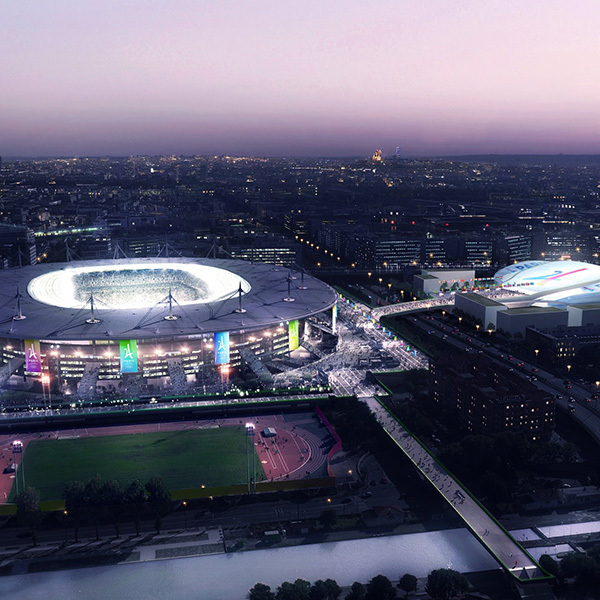 Paris 2024 leaders, including Estanguet, have refused to entertain 2028 as an option, in part because it would once again mean losing the Olympic Village site, which would be occupied by residents by then. That prompted Wasserman to take this veiled shot: "Even when the issue of a dual award for the 2024 and 2028 Games was initially raised, we didn't say it's 'L.A. first' or it's 'now or never' for L.A.: That sounds like an ultimatum, "Wasserman wrote in an online column last month. "We could have used that strategy, but we didn't because we thought it was presumptuous to tell the IOC what to do and how to think. We're better partners than that." The chippy exchanges have quieted since the IOC Executive Board's June 9 announcement that it endorsed a dual bid award vote in Lausanne. "Look, there are definitely little jabs," Garcetti said last week. "I've been on the receiving end. I've tried not to jab back. She and I both, once we started exploring that two cities could be awarded together, said look, let's be sure that both of our teams play fairly and play complimentary and play in a way that you are winning on your strengths, not the weaknesses of your opponents." As could have been predicted, the IOC Evaluation Commission lavished praise on both cities' bids in a report released last week, while picking out certain obvious elements -- L.A.'s traffic, the polluted Seine -- that could be challenging to solve even with a lengthy lead-up. Athletic accomplishment and failure are equally fascinating to Hidalgo. She openly admires the humility of 10-time Roland Garros champion Rafael Nadal, yet also wonders, "What is going on in the athlete's head, in that moment when they are focusing in the homestretch of their event, or when they don't succeed, and they have to start again? Where do they find the energy? How do they do it?" Paris has some experience with that. On July 6, 2005, leaders of the Paris 2012 bid committee beamed as they stood in the convention hall in Singapore, arms thrown around each others' shoulders, like a championship team counting down the last seconds to celebration. Surely it would be their turn this time. A 1992 effort to win both the Summer and Winter Games resulted in Albertville, a fine consolation price. Losing to Beijing for the 2008 Games - that was understandable, given the IOC's desire to put the Games back in Asia. Now, Moscow, New York City and Madrid had been eliminated in less than 20 minutes of electronic voting, leaving left front-runner Paris and late-charging London. Then-IOC president Jacques Rogge seemed to take forever to rip open the oversized envelope. "The Games of the 30th Olympiad in 2012 are awarded to the city of London," he intoned. The Paris delegation vanished from sight. On split screens around the world, a packed Trafalgar Square erupted while the crowd in front of the Hotel de Ville stared in shock. Four votes. That was the margin of defeat, and the catalyst for years of deconstruction and debate over whether the spurned city should launch another attempt. Critics said the French had been too complacent. The campaign had been steered by political interests rather than sporting ones, and Paris had been outkicked by London 2012's persuasive spokesman, former Olympic runner Sebastian Coe. Meanwhile, redevelopment of the industrial site in the Batignolles neighborhood in northwest Paris once earmarked for the Olympic Village went ahead anyway. The urban village that has risen there, with its mixed residential, office and parkland, solar-powered buildings and street art museum, is dual testimony to what can be lost and gained by mounting an Olympic bid. In 2012, the French Olympic Committee commissioned an analysis of its five failed bids over the previous 20 years - three for Summer Games in Paris and two for Winter Games in the Alps - by the well-connected Paris-based sports consulting firm Keneo. 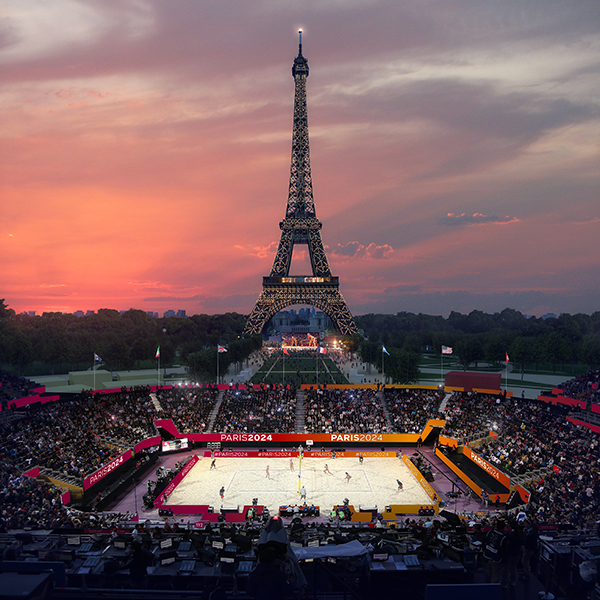 Two of Keneo's top executives, former Olympic badminton player Etienne Thobois and former international rugby chief Bernard Lapasset, later were installed in key Paris 2024 positions. The bid committee also hired Vero Communications and its savvy chairman Mike Lee, who had shaped the London 2012 winning campaign. 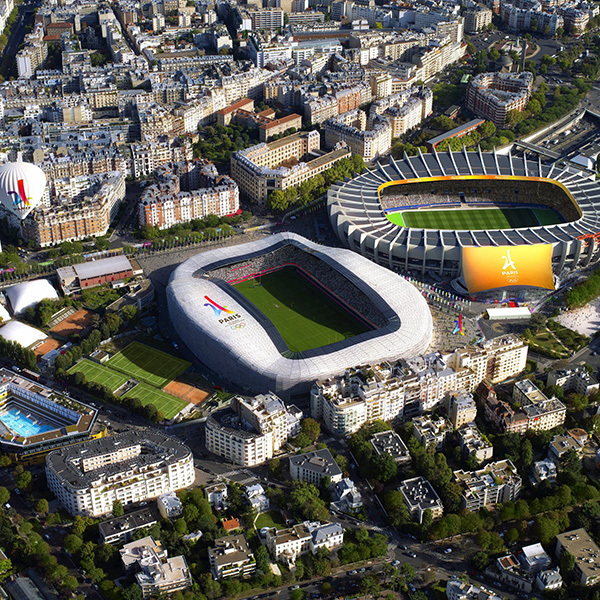 Like Paris 2012, the 2024 bid touted Paris' relative compactness, solid infrastructure and picturesque backdrops. Two major capital projects -- the Aquatic Center and the athletes' village -- were both slated for Saint-Denis, backed by the public-private financing blend that is traditional for large projects in France, and designated for after-use in a community desperate for decent working-class housing and recreational facilities. Transit projects were already on the boards as part of the "Grand Paris" blueprint for integrating the impoverished and alienated suburban ring with the city. But the main difference from past campaigns was in approach and attitude. Rather than resting on the laurels of Paris' worldwide appeal as a destination, the committee fanned out to sell the project to the region, the country, and finally, to the world. Former Olympic athletes like Estanguet and Thobois were positioned front and center. Paris 2024 solicited fresh, diverse talent as well, like Rio 2016 boxing silver medalist Sarah Ourahmoune, the daughter of Algerian-born parents. Ourahmoune grew up in the disadvantaged Seine-Saint-Denis region, widely known by its official governmental code, "the 93." She remembers when the gleaming new Stade de France rose in time for the 1998 soccer World Cup. It was supposed to jump-start revitalization in the area, but residents wound up feeling excluded. "We didn't benefit at all,'' Ourahmoune said. "No one asked us, no one involved us in the 93. I was young, but I could have been a volunteer. There was nothing. No one proposed anything. There were some tickets for matches, but when we went we saw that it wasn't even French people working in the stadium. "When I learned about the  project and how much of it was about a legacy in the 93, this interested me. I wanted to make sure it would be inclusive. I wanted to be involved so that this time I could try and make sure it wouldn't be a promise made of air." 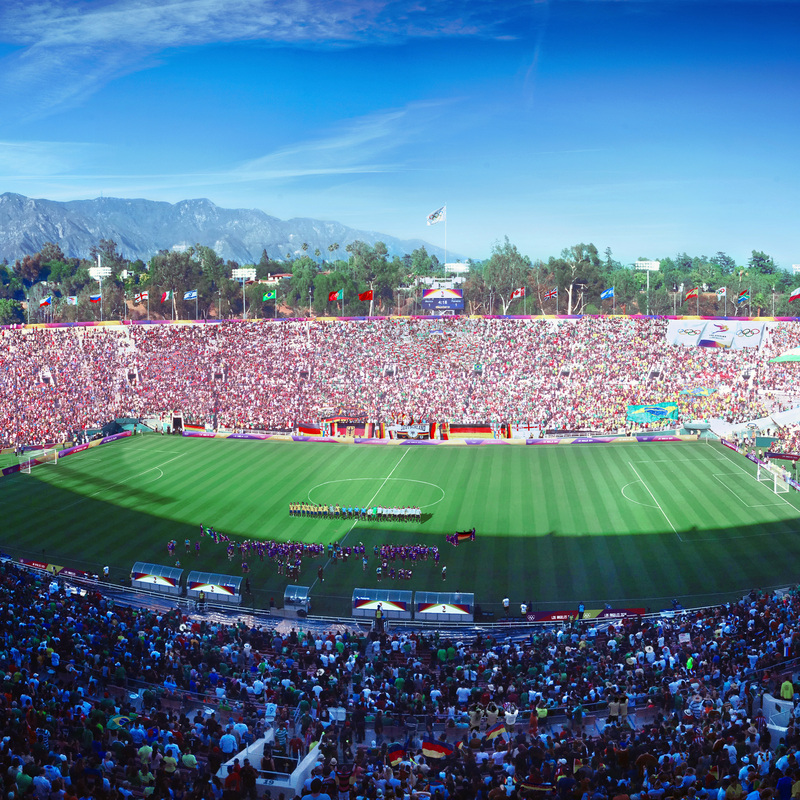 LA2024 has tried to position itself as an even lower-risk option structured around the backbone of professional and college sporting venues. Wasserman, the founder and CEO of Wasserman Sports Media and the grandson of former Universal Pictures head Lew Wasserman, is steeped in that world. He purchased the Los Angeles Avengers of the Arena Football League at age 24, and helped spearhead multiple attempts to bring an NFL team back to Los Angeles after the Rams left in 1994. Like Garcetti, Wasserman has vivid memories of 1984, when he carried the Olympic torch for a leg of the relay. When Garcetti approached Wasserman, a longtime friend, about leading L.A.'s Olympic bid, he agreed under one condition: They had to win. And to do so they had to learn the lessons of previous failed American bids. Both New York 2012 and Chicago 2016 were clobbered seven years out in their bids to host the games, leading to Chicagoan and then-President Barack Obama's observation that the IOC's decisions were "a little bit cooked." The strained relationship between the IOC and the USOC began to ease when a complicated revenue-sharing agreement was renegotiated in 2012. Still, the bid committee knew it could assume nothing. Garcetti and Wasserman set out to build relationships with IOC members. Two well-connected retired Olympic champions - swimmer Janet Evans and ice hockey player Angela Ruggiero, an IOC member -- came aboard in paid leadership positions. 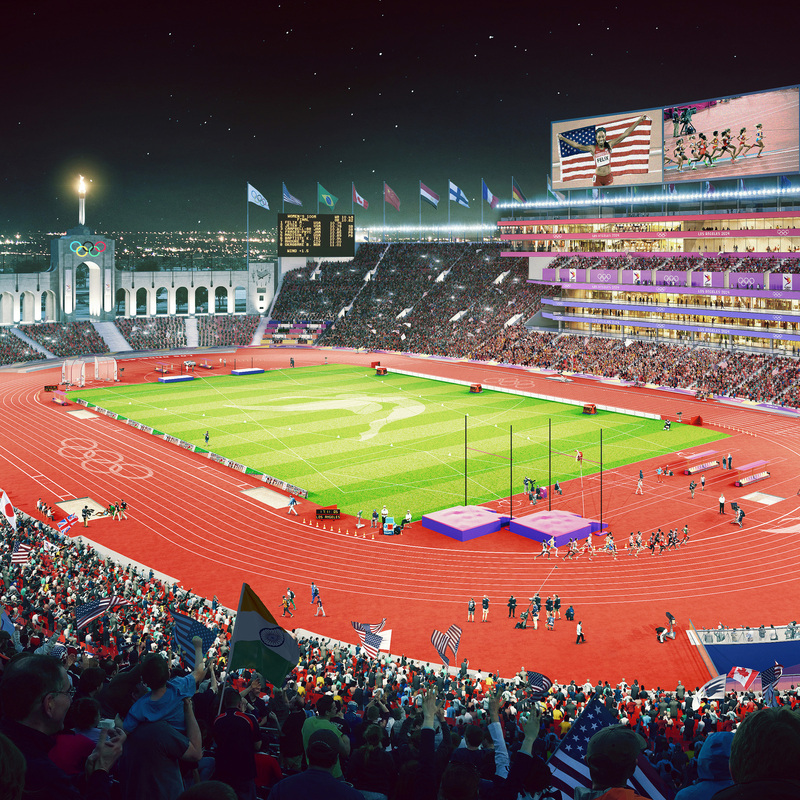 LA2024 bid leaders also knew they couldn't draw up any lavish new venues. They didn't need to. Instead, their drawing boards include the $2.8 billion future home of the Los Angeles Rams, which will be used for Opening Ceremonies. The University of Southern California has preexisting plans for a $270-million renovation of the historic LA Memorial Coliseum and UCLA dorms will house the athletes' village. Games rights-holder NBC Universal has pledged to construct the media compound on its lot, with future plans to convert it to a movie studio. Infrastructure improvements are already underway, including a $14 billion makeover at Los Angeles International Airport and $140 billion in light rail expansion and other public transportation upgrades financed by a voter-approved sales tax hike over the next four decades. An independent assessment from accounting firm KPMG found L.A.'s $5.3 billion proposal "substantially reasonable." Included in that amount is a $491 million contingency fund for cost overruns. The end result is a low-risk bid that more than 88-percent of L.A. County residents supported in a 2016 Loyola Marymount study. Even Andrew Zimbalist, a vocal opponent of Boston's bid and the author of "Circus Maximus, The Economic Gamble Behind Hosting the Olympics and the World Cup," has been impressed. "Maybe L.A.'s place in Olympic history is to come along every 40 years or so and show everybody how to actually do the Olympics right," he says. "So far the genesis of their effort and the specifics of what they want to do has been remarkably responsible and level-headed." But the bid isn't entirely without its critics. NOlympics LA is a group concerned that the funding for the Games would be taken away from other more important issues facing the city. The group protested a recent Chamber of Commerce meeting where bid officials were giving a presentation. Similarly, Paris 2024 has faced only sporadic resistance despite France's chronic political fragmentation. Would the bid have come this far without Hidalgo, who brought the enthusiasm of the newly converted? Estanguet said her involvement has been "decisive." "The strength of Anne Hidalgo is to see what's best for the city, but also to respect what's best for us, the athletes, and also understand what it is to be open internationally," he said. "Every time I've needed her, she's been there. She prepares. She's invested." Newly elected French president Emmanuel Macron is in Lausanne to throw his weight behind the Paris bid, and his youth (he is 39) and centrist philosophy could influence IOC members who may be skittish about the Trump factor. Hidalgo and Macron have had a testy relationship in the past, but they've put that aside while promoting the bid. Both made rare public statements in English criticizing Trump's intention to withdraw from the Paris accord. One of Hidalgo's most cherished goals is to see that the Seine River is clean enough in 2024 not only to host the Olympic triathlon and open water swims, but to be available to all Parisians as a true recreational waterfront. She views global warming as a planetary threat, not a partisan squabble, but she recognizes there's no dodging politics in the Olympic realm. "The IOC is a de facto international actor to politics, but not in a partisan sense," she said. "It is not politics of battle and conflicts in the way we experience them in traditional politics, but it is true that the IOC is involved in relationships of geo-political nature." There's nothing to do but wade in. In her June interview, Hidalgo listened to a question about whether getting the Games will feel any less satisfying now that it appears to be uncontested, a done deal with two winners. "Three,'' she interrupted. "With the IOC." It rang true. At the end of what looked like a four-year tailspin for the IOC, with bidders dropping like flies, the outcome could be two Summer Games built on rational bids -- as rational as this unwieldy traveling circus can be. Jules Boykoff, a professor of Politics and Government at Pacific University who has studied the impact of the Olympic Games and World Cup, has called Olympic cost estimates "Etch A Sketch economics,'' after the classic kid's toy that erases drawings with a flick of the wrist: "You say one thing and once the bid is given, the Etch A Sketch gets shaken for new numbers." Boykoff wonders if four extra years of lead time in Los Angeles could allow a more organized opposition to incubate. He thinks bid leaders need to re-open discussions with residents and officials, since the terms have changed. He also says Garcetti should push the IOC for the biggest concessions he can get as a quid pro quo for waiting around. Although much remains uncertain -- for example, what conditions or guarantees will be asked of the 2028 city? -- the dynamic has definitely shifted. Bach recently called the upcoming vote on a dual bid "a great opportunity to keep these two big birds in our hands." 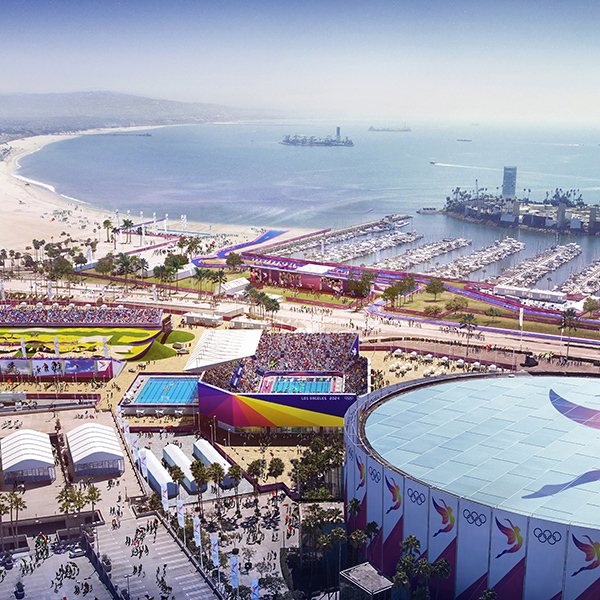 "I believe the IOC needs L.A. a whole lot more than L.A. needs the IOC," Boykoff said. If L.A. is able to exert leverage, it would be an interesting echo of 1984, when the bid committee and city officials drew a financial line in the sand and wound up with a $235 million surplus, more than half the total budget. That money was in part used to start the LA84 Foundation to help fund youth sports, including a tennis league in which a young Venus and Serena Williams participated. After the vote in Lausanne and feedback from the IOC, Garcetti said there will be time for either city to tweak their proposal, gather the necessary approval from venues and various government entities before formally proposing a willingness to wait until 2028. Under certain terms. Garcetti's goal, he said, is to negotiate a cash infusion that will not only cover the added expenses of waiting four additional years but also result in free youth sport across Los Angeles. "That is a good message for the Olympics,'' he said. "That is a good message for our Games, and it's a great thing for the health of our city and our world." If he can't come to terms with the IOC, Garcetti said he won't hesitate to walk away from the bid. Or just go for 2024 with the plan as it stands. "I don't want the Olympics at any price,'' he said. "I won't accept these Games if they put the city at debt or in risk. Or if there's not a genuine human legacy and it's just a vanity party for 2 ½ weeks. If the Olympics can't produce that, not only should we walk away from that, but I think it means most cities will continue to walk away." Boykoff is reserving judgment on the possible reverberations. 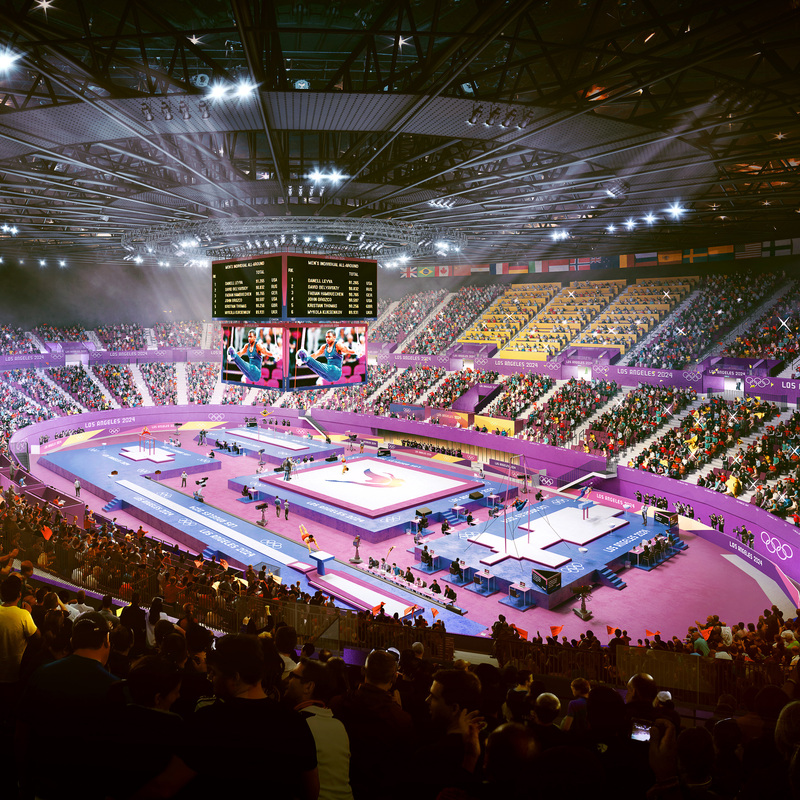 "On one hand, this looks sewn up -- two cities with strong Olympic histories and costs that aren't outrageous,'' he said. "But I think it's a pretty short-term fix for longer-term, deeper problems." Bach and the two mayors have referred to the possibility of future cooperation between the organizing committees once the dust settles, in which experience and expertise might be shared. If a semi-cooperative arrangement emerges between Paris and L.A., could that alter the shape of bids to come? Hidalgo sees potential for climate change of a positive kind: "I think if we succeed, and I hope we will, we will have maybe invented a new thing that might become a basis for future Olympics." Bonnie D. FordFord is a senior writer for ESPN Digital and Print Media.